ONE WEEK TO GO – let’s get set for the event!! It was great to receive a two day press pass from the organisers, Replay Events, giving me the opportunity to do some coverage of the event. As a keen retrogamer the main areas I will be covering are Arcade Cabs, Pinball Tables, Shopping Hall and of course the Retrogaming Zone. Being active in the Twitter’s retrogaming community it will also be great to catch up with friends and maybe interview a few, so watch out @Lord_Arse, @Gamin_Guys, @gamesyouloved and @RetroShumper to name a few. 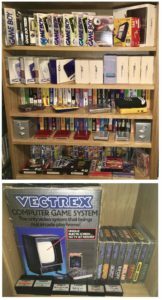 In the shopping hall I am hoping to have the opportunity to growing my boxed Gameboy Orginal and Vectrex collection. However being a keen retro collector I am sure I will be tempted by other items as you never really know what you are going to find. There may be some fantastic one off’s that will break the bank balance! Follow my Twitter, @RetroGamersClub, to see how thing’s progress on the day as I will be posting regular updates. As with most events there are guest speakers / panels. Check out the official website for all details however two that I will not be missing are firstly the N64 GoldenEye 20th Anniversary panel made up of 5 of the 9 original Rare Ltd. staff involved in the game back in 1997. I will have my boxed copy ready to get signed……. Then on the Sunday there is the Spectrum panel which again is not to be missed. There will also be a chance to watch a 40 minute segment from the recent film ‘Memoirs of a Spectrum Addict’ that was directed by Andy Remic whom will be on the panel along with stars of the film. 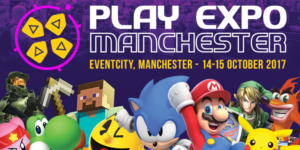 So if you have not yet got your tickets for PlayExpo I suggest you waste no time in doing so. Come along and enjoy a weekend of gaming, I will!! Be sure to follow my Twitter posts on the day plus visit my blog for updates. Please comment on what photos etc you would like to see or additional zones you would like me to cover.